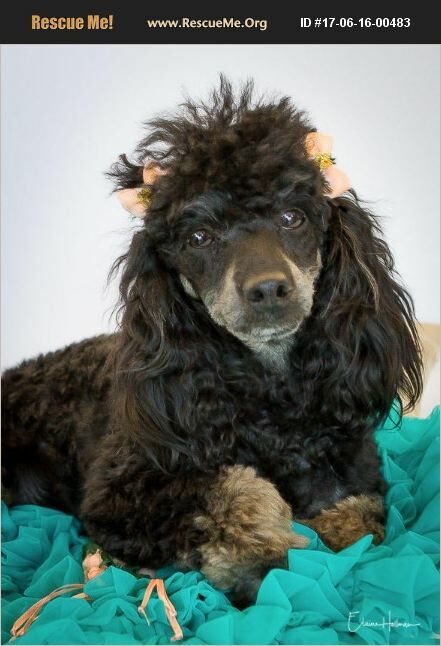 ABBY is a beautiful PUREBRED 'Phantom' Poodle. She is a 9 month old puppy, weighs about 10 lbs.and is black with tan markings. She's super sweet, super smart ... and is eager to become some lucky person's special little 'princess'. Her Adoption Fee is $395 and includes spay, microchip, deworming, up to date vaccines, removal of baby teeth and grooming. Transfer of Registration is $20. For more info, or to submit an online application, go to our SAVE A SMALL DOG RESCUE website at www.saveasmalldogrescue.org Thanks!